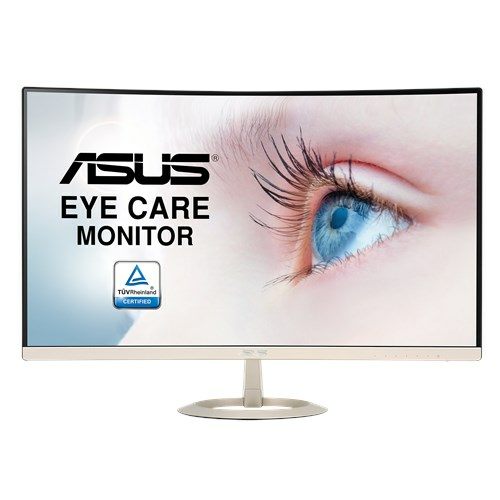 ASUS VZ27VQ 27 inch Full HD Eye Care Curved Monitor has a space-saving design with an ultra-slim profile that measures a mere 8.6mm at its thinnest point. 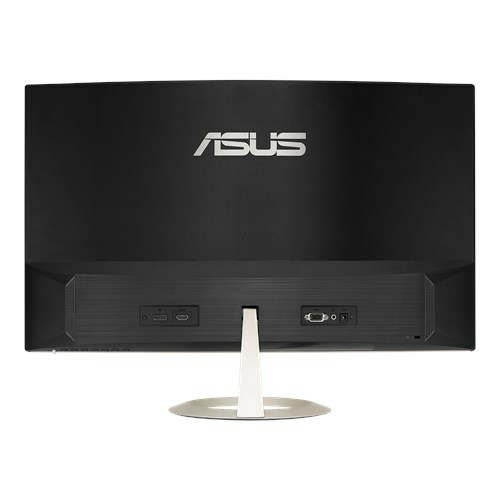 Its frameless design makes it perfect for almost-seamless multi-display setups that give you an even greater degree of immersion.IT takes up very little desktop space and fits well in any setting, its ultra-slim profile measures just 8.6mm at its thinnest point.VZ27VQ takes up very little desktop space and fits well in any setting, its ultra-slim profile measures just 8.6mm at its thinnest point.An advanced high-performance panel gives you an astonishing 3,000:1 contrast ratio and wide 178° viewing angles. 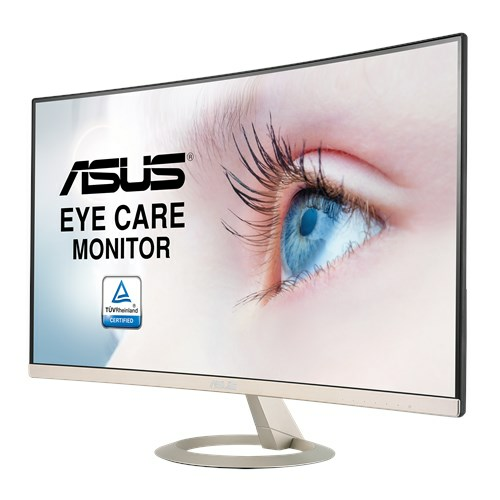 In addition, ASUS Eye Care technology ensures a comfortable viewing experience.The 1,800R panel curvature of VZ27VQ ensures every point on the curved display is equidistant to your eyes, so you get a comfortable viewing experience even during marathon gaming sessions. 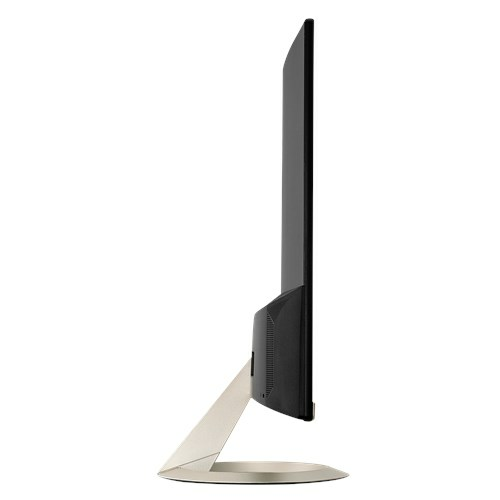 On top of that, the curved display makes movies and games more immersive than ever!You're treated to vibrant lifelike images thanks to its 3,000:1 high contrast ratio for darkest black and brightest white, and the wide viewing angles panel for minimal distortion and color shift, even when you're viewing it from extreme positions.Whether you're playing games, watching a movie, or getting some work done, VZ27VQ's frameless design means two or three monitor setups are virtually seamless, giving you a panoramic display for an even greater degree of immersion.